CurlingZone > Chat Forums > General Curling Chat > Rock Talk > Is it time to change the Brier/Scotties? 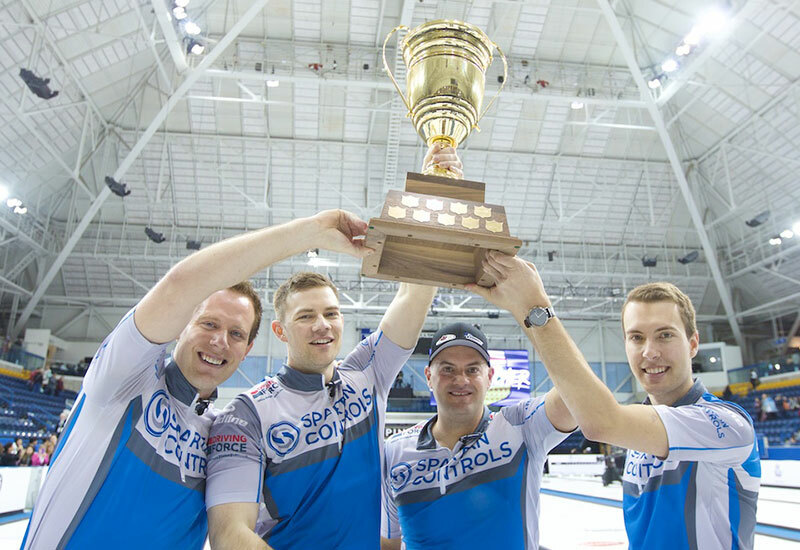 Posts: 543 Is it time to change the Brier/Scotties? Disclaimer #1: I am American not Canadian, so this is a topic that I lack history on, so I apologize in advance if this is bothersome to anyone. I am just trying to educate myself on a topic that I don’t know much about. Disclaimer #2: If your answer is either “history” or “that’s how it’s always been done”, I respect that answer, but find it not helpful for me to understand why it should be like this TODAY, so please don’t try to sell me on history. If the answer is to just keep it as is to respect history, that part of this I understand. Disclaimer #3: I understand that Canada has the strongest curling program in the world, so the idea of changing it could admittedly be stupid. Why are provinces a big deal to Canadian Curling when it comes to qualifying for Worlds or the Olympics? 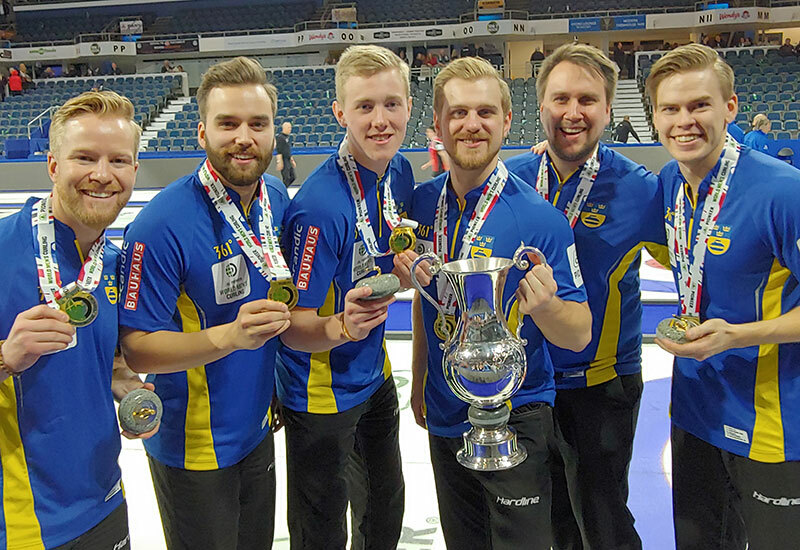 Does it make sense that a Canadian Curling national champion should be decided by a 1 team per province (maximum) setup wherein players are at least somewhat geographically limited by where they play? Seems to me that you should be able to form whatever team you want, eliminate any geographic ties, and play a series of events to qualify for Nationals, and go from there. In the US, there are 2 main levels of National Championships, the overall National Championship, and then Club National Championships. For Club National Championships, you win at your club, and then advance to a regional playdown (lets just call that similar to a province but I understand there are huge differences). If you win the Regional Playdown, you advance to the Club Nationals where each region sends 1 team. Whoever wins that title is the Club National Champion, and it ends there. There is no advancement to any world type event. But for the big National Championship, you form a team and qualify for Nationals based upon a set criteria (Either earning points on the tour or doing well at a pre-qualifier tournament). There is no lock down on how you form a team based upon where you live/work/curl. In theory the winner of the big National Championship goes to the World Championship (there is a points requirement rule here but don’t need to get into those semantics for this discussion). So why should Canada not adopt the same type of arrangement and eliminate the need for geographic ties for teams? To me this seems a bit more in line with where curling is heading as a professional sport. And one last argument for possibly making this change. As I read the rules, and I admit I could have missed something, it looks like there is no geographic ties for being Team Canada at the Olympics. There does nto seem to be any rule that would eliminate a team that chooses to have no geographic ties, bypasses the Brier/Scotties, and qualifies through another means. So let me know your thoughts. Oh, and also....you don't even understand *American* Club playdowns correctly. You don't have to "win at your club", all regionals are open entry. Many clubs send 2,3 or even more teams. I don't know when (if?) there will be changes to the Brier/Scotties, but I think changes would be precipitated by elite teams choosing not to play in them (a la Kevin Martin, perhaps). There are no residency requirements for the Canada Cup, Pre-Trials or Trials - only citizenship requirements. If we believe making the Olympics is the biggest prize in Canadian curling (an interesting debate! ), then that might be a path more teams take. 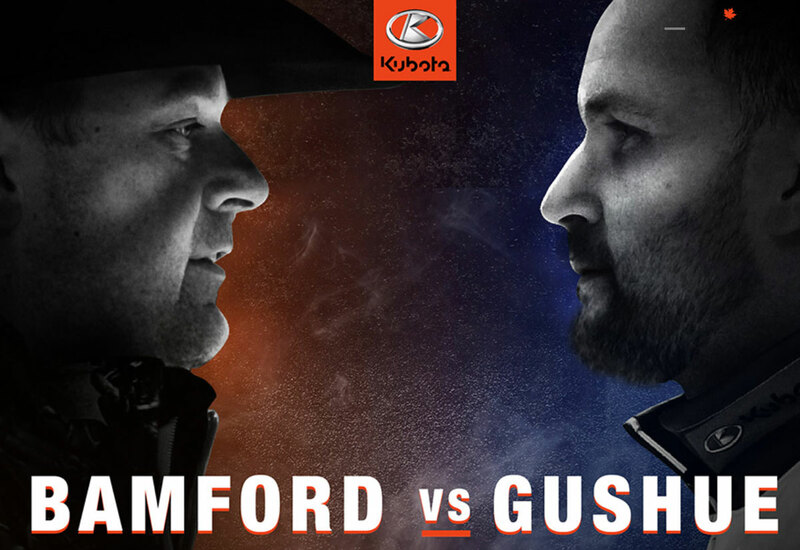 I could have imagined the new Team Koe taking this approach. All to say, I don't think Canada would adopt a new model unless the top talent demands it (I say this without any knowledge of what our "top talent" currently wants...). This may have been better said than I tried originally. My point is that if the focus becomes the Olympics for the truly elite teams, then would it make sense for the elite players to ignore the Brier/Scotties to focus on the Trials/Olympics? If this happens, then it could force the Brier and Scotties to at least think about how this effect their events. Perhaps the first consideration for an American commenting, is that curling is played in every nook and cranny of Canada. The US has a cold northern edge that curls with the vast majority of people in the south that don’t know what curling is and don’t care to know. I welcome suggestions from anyone regardless of nationality on how we could improve the Brier and Scotties. Clearly we have not yet achieved perfection, as evidenced by empty seats and meaningless blowouts in the early rounds of both tournaments. It's possible that we have to re-think our approach to Olympic qualification too, in light of current knowledge of athletic performance. If we insist on every province and territory competing in the Brier & Scotties, then we will continue to see blowouts. I think the "play-in" concept is positive in bringing very good teams to the field. I don't have the answers but would like to see continued experimentation and brainstorming. Man what a refreshing post to read on this subject matter. 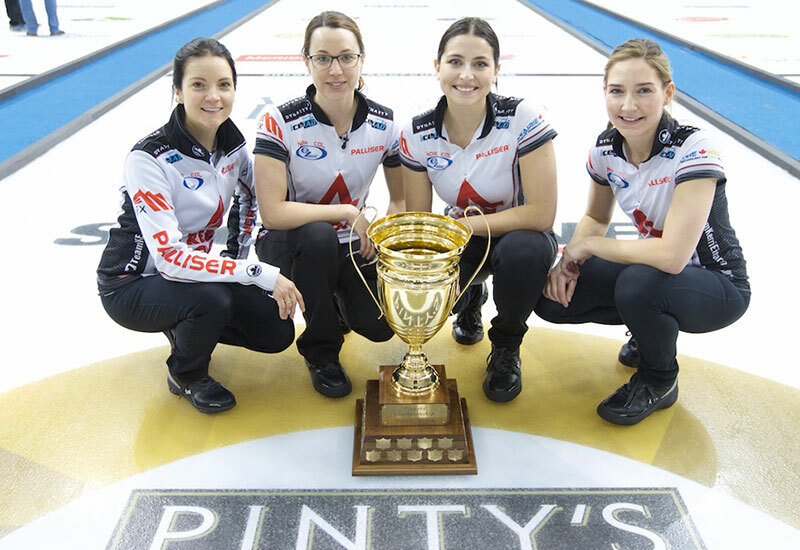 I no longer need every region and nook and cranny in our country to have a team at the Brier or Scotties. Those days are gone for me. I would rather watch 4 good teams from a province than one team from a few of them. These blowouts are not the fault of the great teams betting better and having any advantages either. They work hard at the game and make sacrifices to reach their potential. And if the Brier and Scotties are not careful, no major TV network will cover an event if 10 or 11 out of 16 teams are what we saw this year. 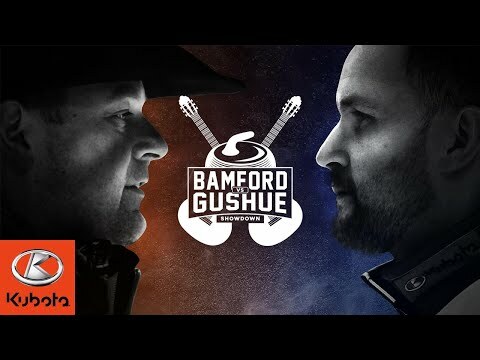 People typically do not like change and combine that with the tradition of the Brier, there will always be backlash when changes are made to the Brier/Scotties format. The biggest issue from a Curling Canada perspective is that the Brier is a cash cow and funds a lot of what Curling Canada does. Without this money, it would be difficult for Curling Canada to run the other championships where they pay for the teams to travel to the event. All of the other events are money losers. I personally would love to see the Canada Cup held in early March with the 12 best teams participating with the winner going to Worlds (Women's Canada Cup could be held in early February). Teams would not be handcuffed by jurisdiction and Canada would be better represented at the World Championships/Olympics. The Brier could be a true amateur event using the current format. However, would it be as popular as it is now and would Curling Canada lose its cash cow? 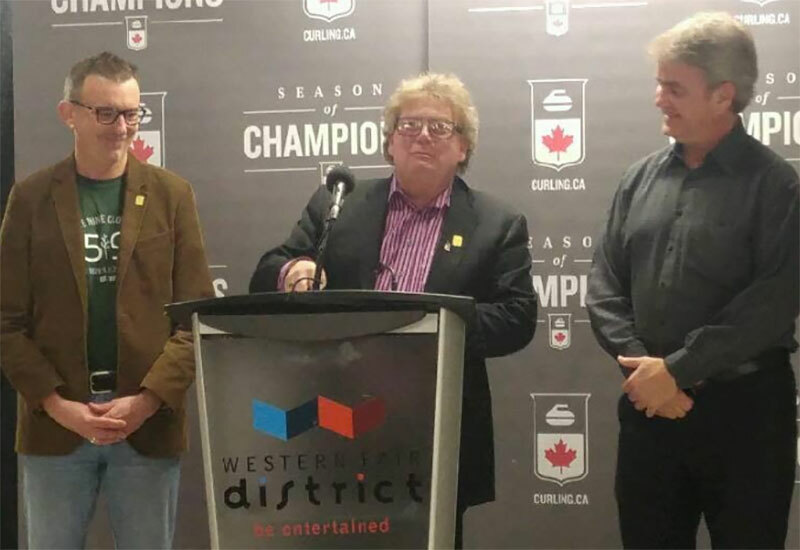 I do know that the formats of all Canadian Curling Championships are under review and possible changes are coming. We will have to wait and see where this leads to. As it is now, I do not see the anything changing in regards of always having 4-5 great teams and a bunch of amateur teams participating in the Brier. The brier should change to regional reps, not provincial. For example, 7 reps from western Canada/ Yukon. 6 reps ont/ que/ nunuvut /NWT. 2 from NFLD/ maritimes. 1 Team Canada. Please don't jump all over me. Just an opinion. Should get most of the top teams in Canada. Guido, in your thought, would teams still be made up provincially, or would they only need regional geographic ties? Or could they make themselves up however they want without any geographic rules? I think everyone on the team should be active members of One club. guido, with the demands of the pro curlign schedule, I'm not sure any of these pros are active at any club. The Brier/ Scotties was never meant to be for "pro's". Everyone should be allowed, but may have to change teammates for the playdowns. Choices would have to be made. I would have logistics concerns. Using the ON/PQ/NT/NU example. 6 spots for all 4. That's lots of travel for lots of teams. IF this was ever incorporated, for regional fairness each province or territory would have to be allowed to host the playdowns. That's 30-40 teams from ON and PQ flying to NU or NT to play down for 6 spots. I know it's a bit extreme but would be the same for your Western and Atlantic "Zones". This obviously doesn't work. Next suggestion then would be to have more than one regional playdown for each area. If you're going to do that, why bother changing it at all. Sometimes no change is better than change for the sake of change. I'd be for either leaving it the way it is now with ENFORCED residency rules, or lose the wild card and team Canada and do the full round robin. Take the 14 representatives from lands (ie no "Team Canada" nor "Wildcard") and seed them into two groups, 1-7 and 8-14. At the end of the RR, 5 teams from the 1-7 group and 2 from the 8-14 group advance to the Playoff Phase. That's a Double elimination knockout bracket until a winner is crowned (the winner of the 1-7 group gets a first round bye, which is more powerful than it appears at first glance due to the double elim). Those 7 teams are the 1-7 group for next year as well. It's kinda like Europe's model, where even if you start the year in B, you may still make Worlds. Great points regarding keeping the current system. I agree that the slams always like to claim that it’s the best teams in the world, but, recent competitions seem to show there are other good teams capable. The Brier and Scotties right now are a way more prestigious win that a slam event. I suspect that the vast majority of fans would agree. Live attendance is the best indicator. Just because Canada didn’t win gold in the Olympics does not mean the system doesn’t work. At the time we sent the best teams available, its just that they are human and didn’t win this ONE event. Olympics from a curling perspective is not a harder event to win than many other bonspiels. It has more hoopla, but, bottom line, it is a curling bonspiel. If you made the prize earnings of the Brier or Scotties $10,000,000 then the focus would change. i get that the traditional 4 person olympics was a failure and a surprise for canada but you can't take one event and say things aren't working. the women have now gone undefeated at worlds 2 years in a row. the men went undefeated last year and had won something like 18 matches in a row before losing to mouat.